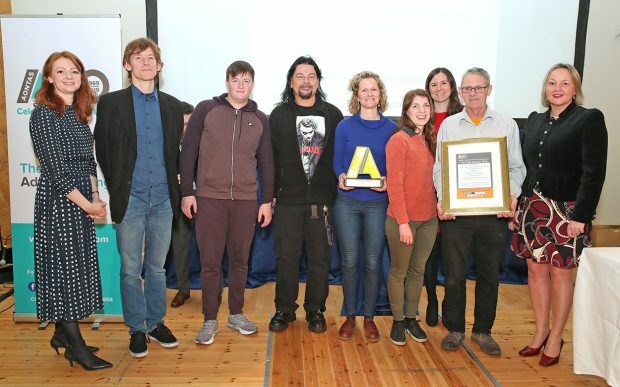 The 2019 Aontas Star Awards ceremony took place in the Pillar Room at the Rotunda Hospital on Monday, 4th March. 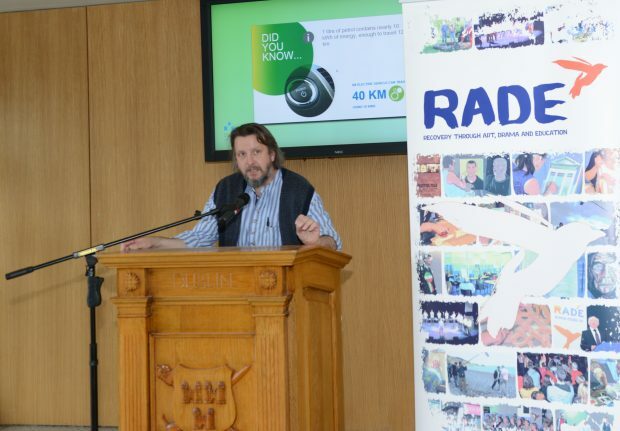 As recipients of a 2018 Star Award, RADE was invited to present awards to this year’s winners in the Social Inclusion category. 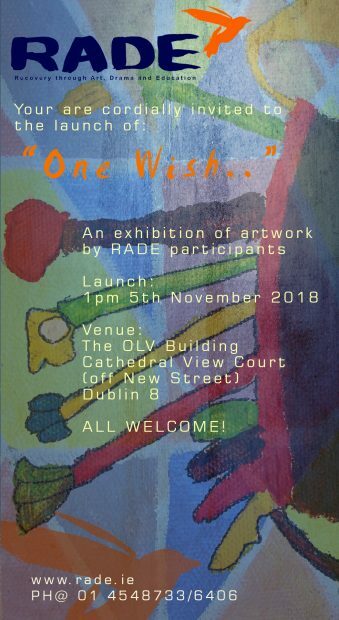 Catherine Byrne, Minister of State for Health Promotion is coming to view RADE’s Art Exhibition on Monday, 19th November 2018 at 1:30 pm. RADE would like to cordially invite you to the opening of our latest art exhibition in the OLV Building at 1:00 pm on Monday 5th November. This exhibition is called “One Wish” and will feature the first showing of our fantastic new sculpture from 6000-year-old bog oak called “Moving Family”. 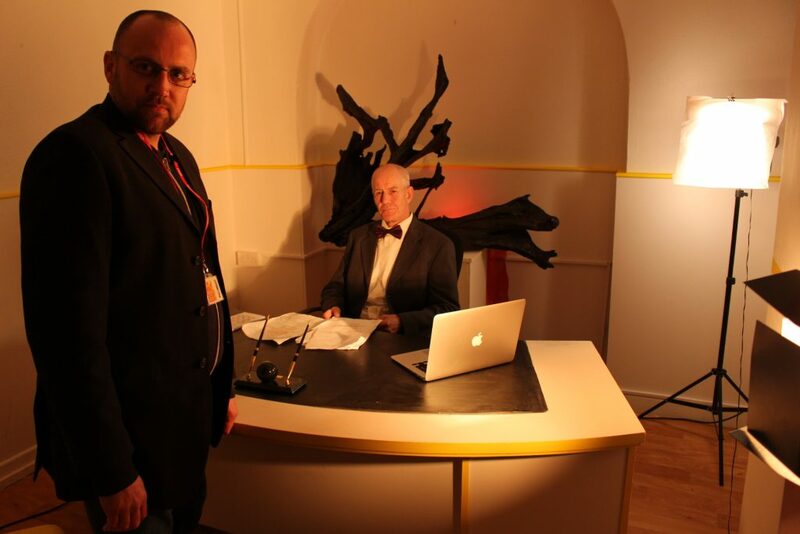 There will also be many of the sculptures created under the supervision of Eoghan O’Neill RIP, through the RADE years. Contemporary Paintings and drawings from our current programme participants will also be on show. 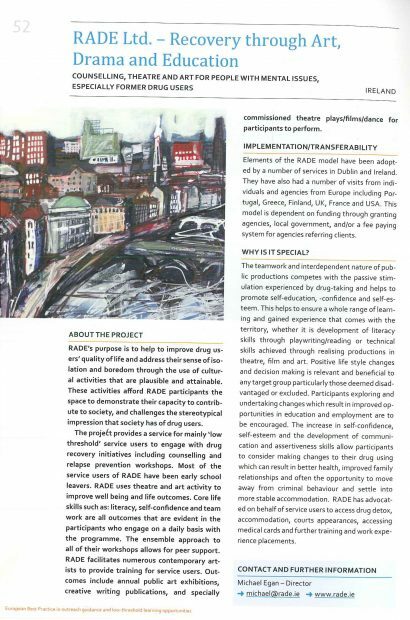 This will be a first production that will include inter agency participants and participants working with RADE through the new HSE initiative. 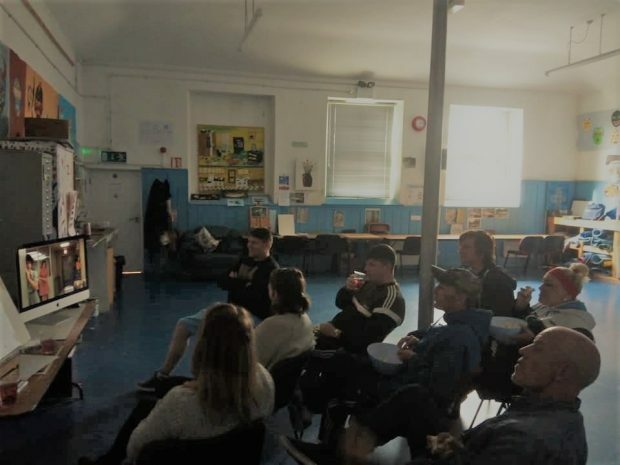 The Film Club at RADE gives the opportunity to participants to stay after the Day Programme to enjoy and discuss a film chosen by the group. The first Film Club took place on the 1st of October 2018 with the screening of “Dog Day Afternoon“, starring Al Pacino and John Cazale. 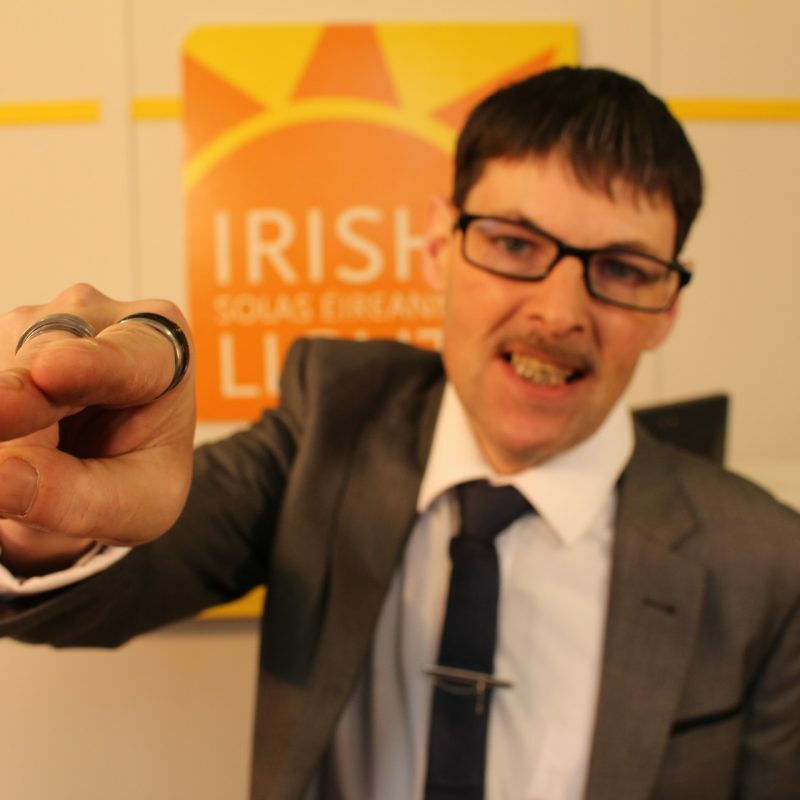 “Irish Light Vs Tony” is now available to watch on RADE’s Playback Year 2017. 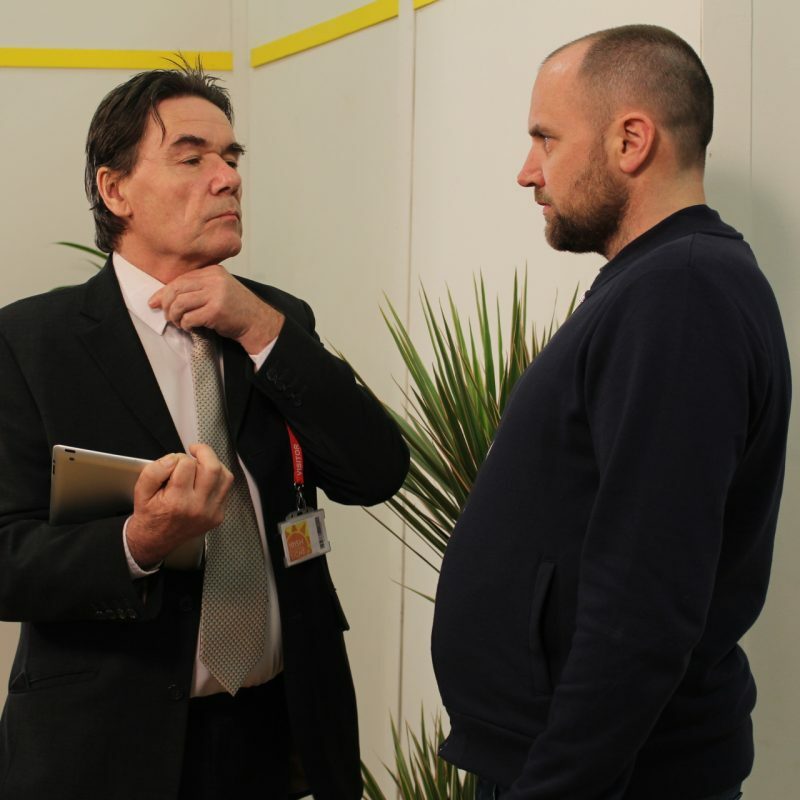 RADE is currently working with Karl Parkinson, a creative writing Trainer. RADE will start working with Elida Maiques, a cartoon artist in September 2018. The RADE participants will work on Mondays and Tuesdays (September,October, and November) towards the production of a Graphic Novel. If things go as planned we hope to have the launch of the book in January 2019. Watch this space! 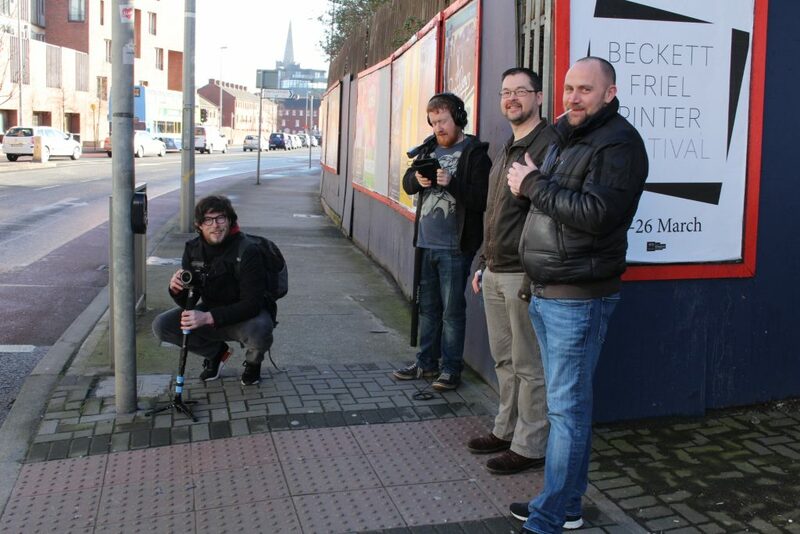 RADE will be screening our new film in the main cinema IFI in Temple Bar at 12.00pm on Wednesday 13th June. This screening is for Service Users and we welcome all the other projects to join us for another ‘cracker’ from the RADE team, probably their funniest offering yet. A great opportunity for the service users to meet up and a powerful demonstration of the social contribution, that can be made by people in recovery. Please contact RADE by email info@rade.ie or 014548733 and let us know how many people you wish to bring. Book early there are only 258 seats and they’re being snapped up fast. 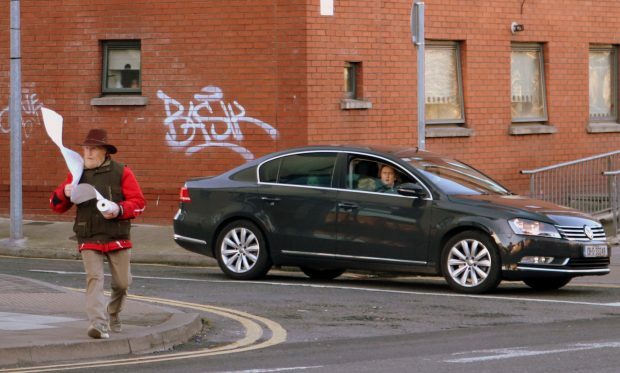 This short film is an absurd comedy about the desperate state of Ireland’s housing crisis. 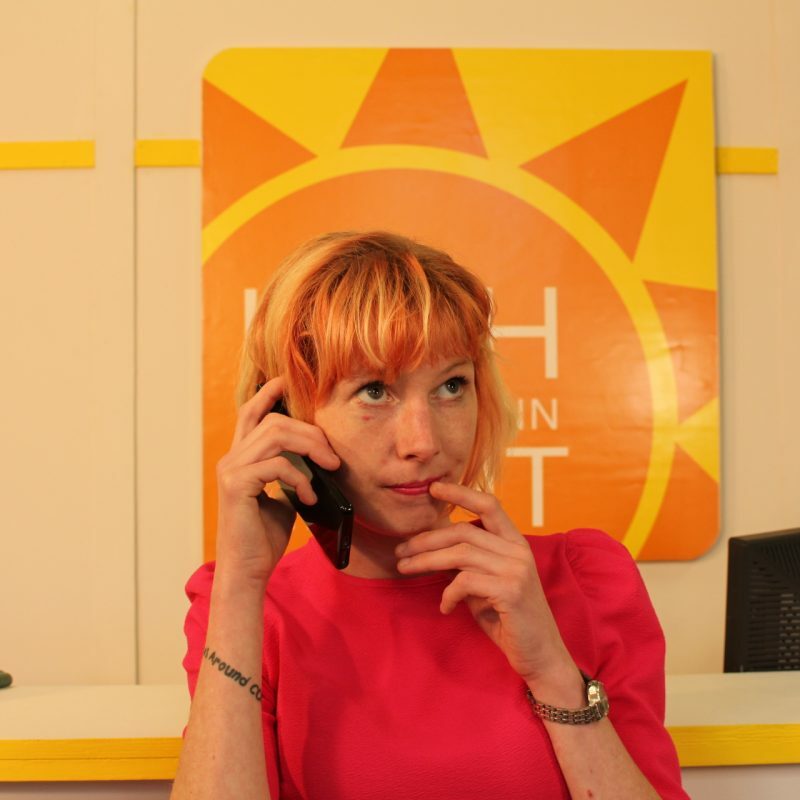 From unscrupulous landlords to the ‘invisible homeless’ and politicians reverting to Victorian attitudes, there’s never been a worse time to be without a roof over your head. 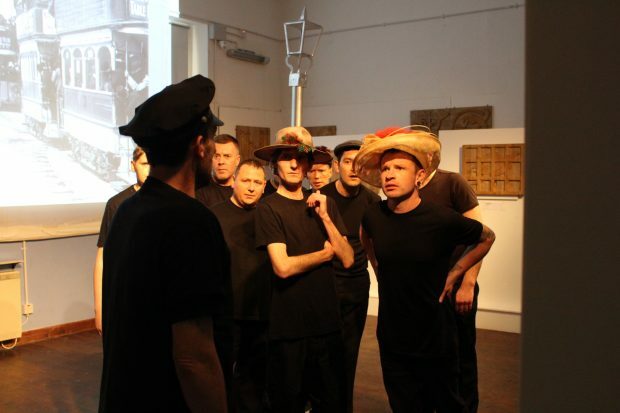 ‘Spare Change’ was developed from the true-life tales of the RADE participants and their first-hand accounts of the current housing crisis. Second Cinema Screening of our new Film….. Spare change is another satirical take by RADE, this time on the housing crises in Dublin and it packs as strong a punch as ever! Once again the cast is made up of the current RADE participants who deliver sterling performances all around. Please join us for the Second Cinema screening of the Film. Book your seat as soon as possible! ‘Spare Change’ was developed from the true-life tales of the RADE participants and their first-hand accounts of the current housing crisis. The goal was to capture their experiences and shape them into an engaging narrative. 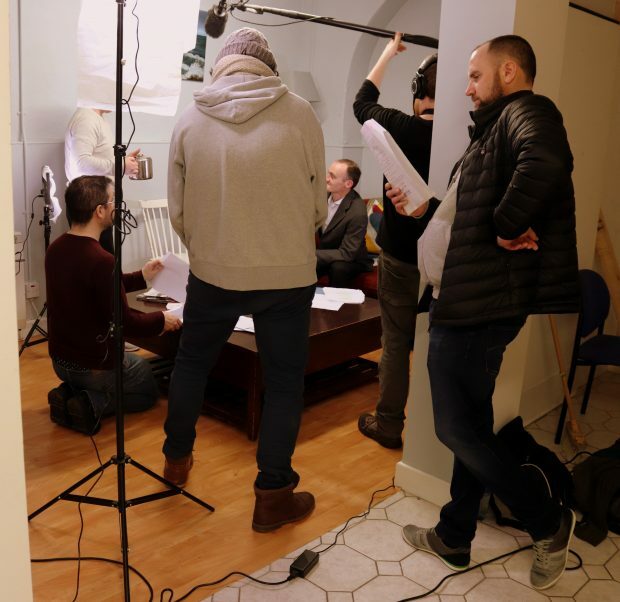 Working on this film with the truly committed RADE staff and talented participants has been an exciting journey – not without its challenges – but ultimately hugely rewarding. 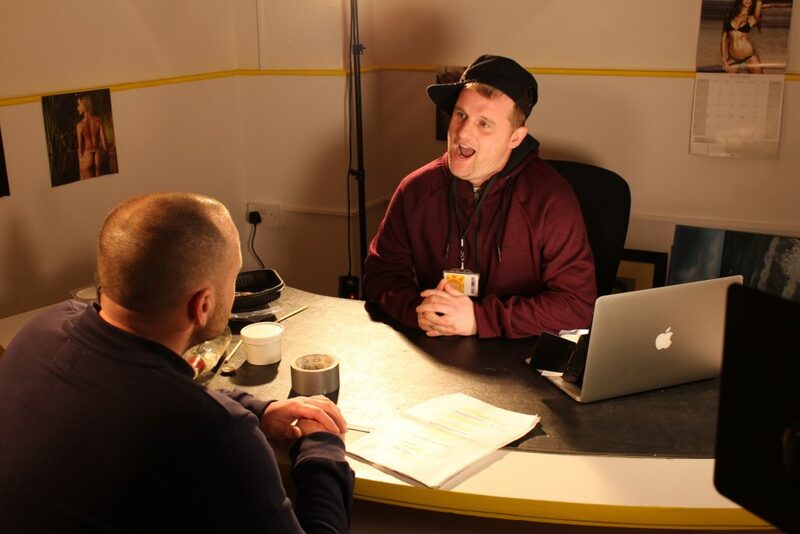 Working with the participants to bring out their experiences and focus on the issues that really affected them, then developing a script which would encompass these issues was an inspiring and humbling experience. 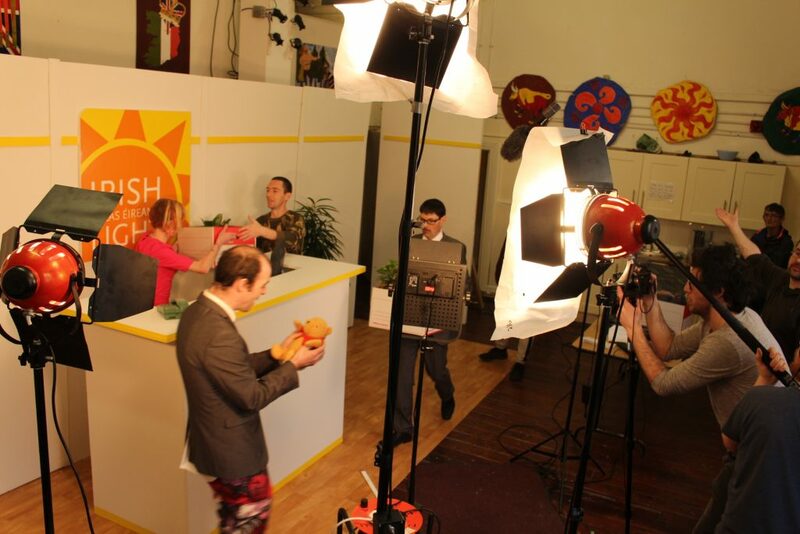 Improvised workshops based on the script brought humor and jokes funnier than anything I could ever write. And finally shooting the film and seeing the dedication and passion of everyone involved, many of them stepping well outside their comfort zone, proved to be one of the most creatively satisfying experiences I’ve ever been involved with. Rodney Lee, Director. 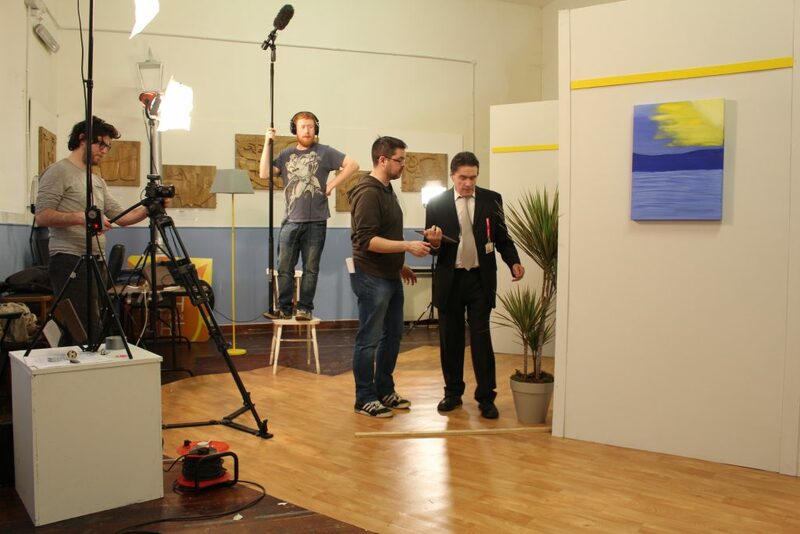 ‘Spare Change’ is a comedy about people faced with the most impossible, desperate struggle known to modern man; navigating the rental market in Ireland today… Ed gets a shock when his landlord raises his rent without warning. 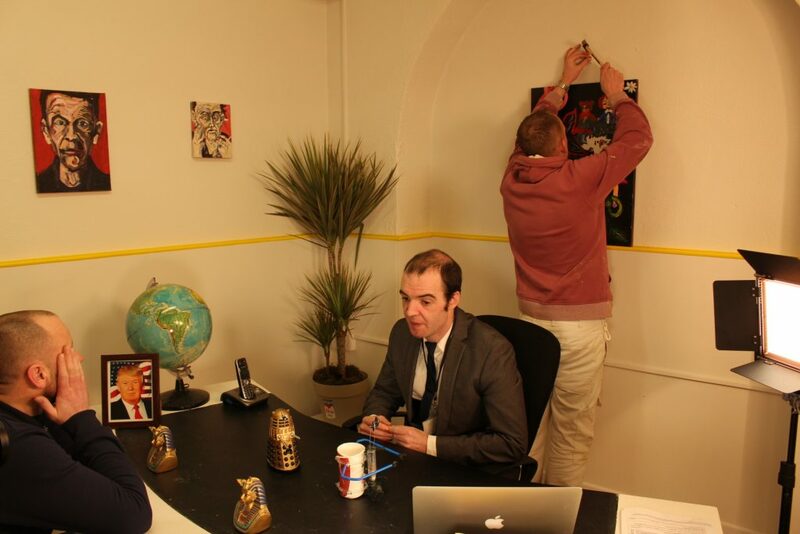 Already stretched to the limit and only just making ends meet, things look grim until Ed decides to sublet his flat to the multitude of homeless people looking for somewhere to stay. 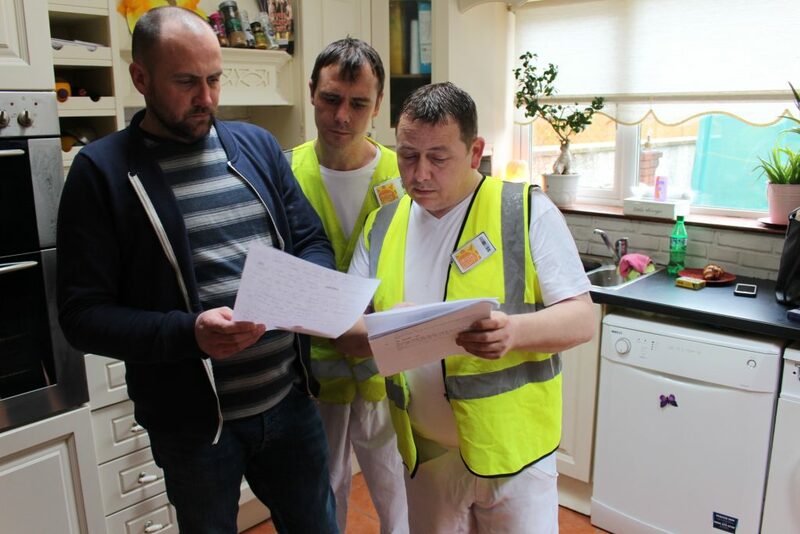 As long as the landlord doesn’t find out, everything will be fine… but Ed doesn’t count on the crazy tenant who claims to have stolen the housing list, suspicious neighbours and an unexpected visit from the Minister for Housing… This short film is an absurd comedy about the desperate state of Ireland’s housing crisis. 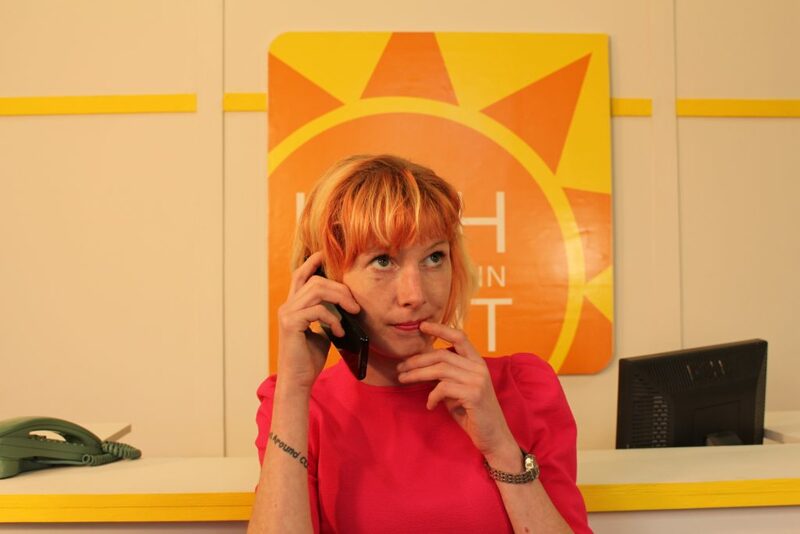 From unscrupulous landlords to the ‘invisible homeless’ and politicians reverting to Victorian attitudes, there’s never been a worse time to be without a roof over your head. What can be done? 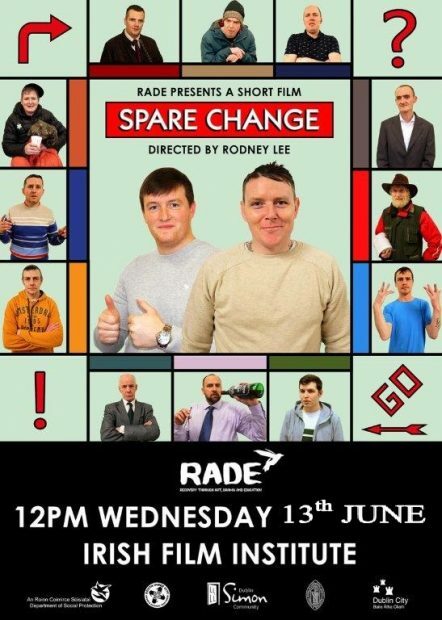 RADE’s new film Spare Change will be launched in St. Patrick’s Cathedral. 8.00pm 1st May. More details to follow! This will be a ticketed event. 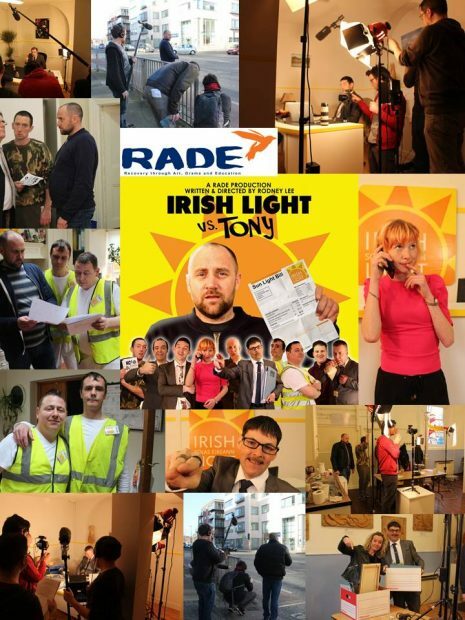 This is a follow up film from RADE’s hilarious Irish Light V’s Tony the same writer and director Rodney Lee. Spare change is another satirical take by RADE, this time on the housing crises in Dublin and it packs as strong a punch as ever from RADE. Once again the cast is made up from the current RADE participants who deliver sterling performances all round. Trevor Knight has again provided an exciting and original music score. RADE will celebrate the memory of our dear friend, Art Trainer and colleague, who passed away on 16th March 2017. An exhibition of wood sculptures from Eoghan’s students in RADE will be exhibited. Music from classical guitarist Arash Kazemi. 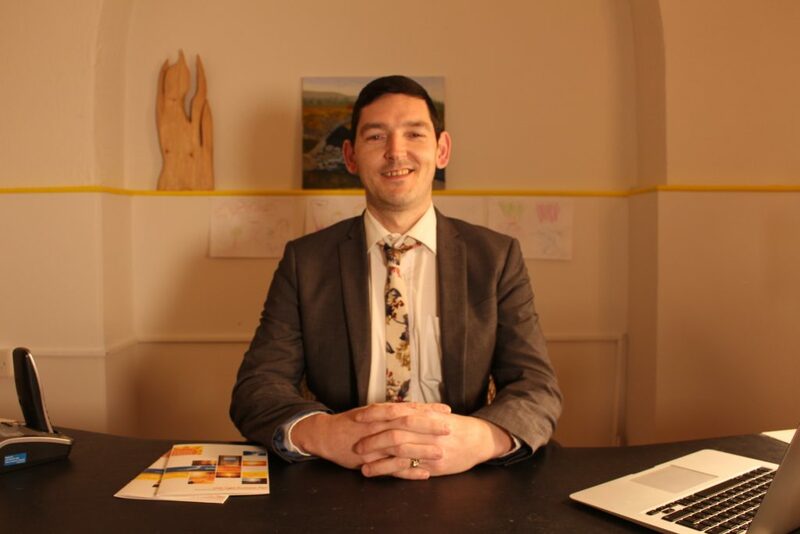 To mark the first years Anniversary at the loss of our dear friend and long-time art trainer, Eoghan O’Neill, we are sending this shout out to all ex-RADERs and all the services that have known Eoghan. 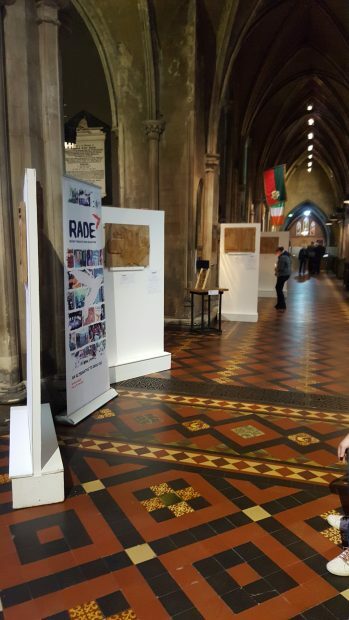 St. Patrick’s Cathedral will host an exhibition of wood carvings from the RADE students going back to 2005. 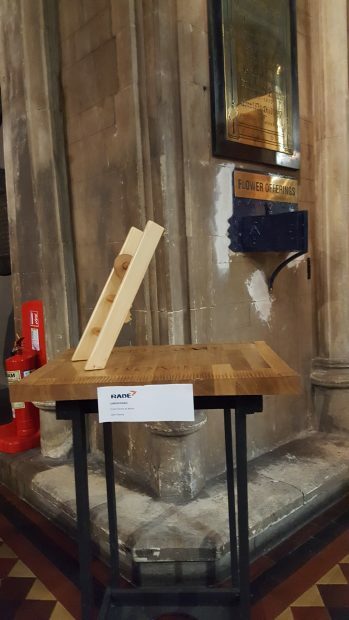 The exhibition of wood sculpture will run in the Cathedral for two weeks from 20th March. 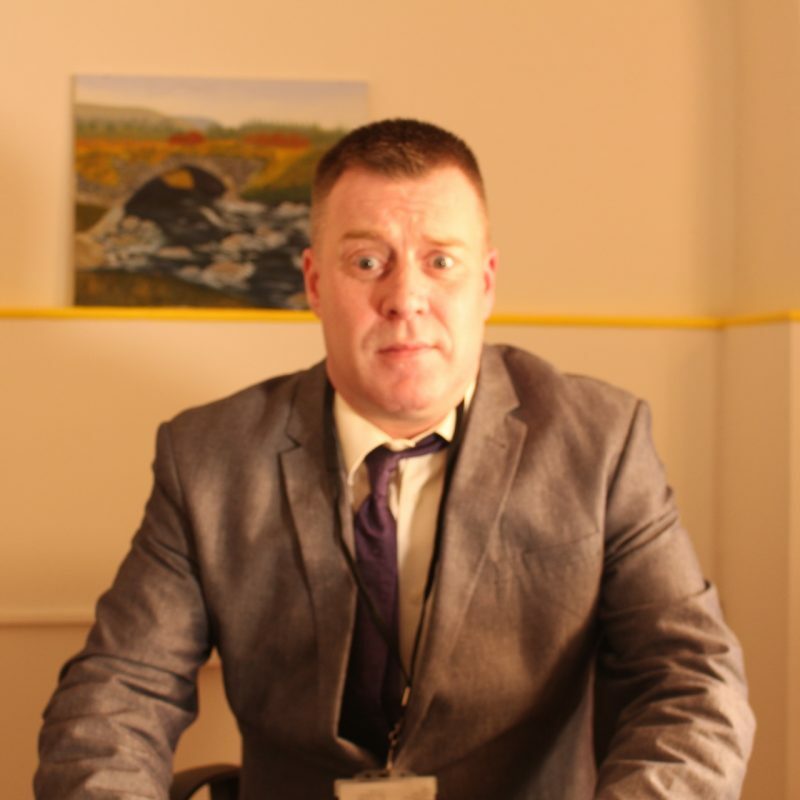 RADE’s hilarious hit film Irish Light V’s Tony on the big screen: The Five Lamps Festival! 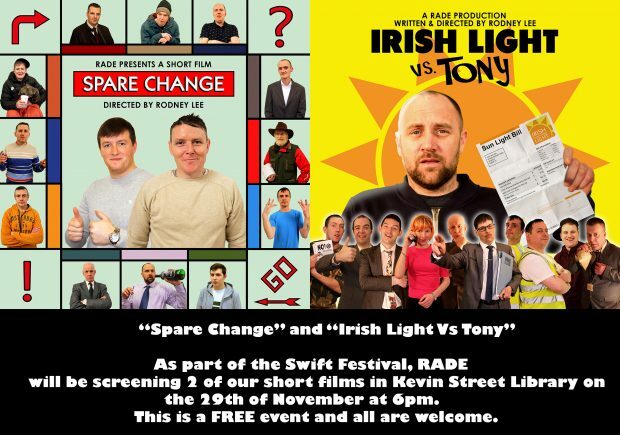 A great chance to see RADE’s hilarious hit film Irish Light V’s Tony on the big screen: The Five Lamps Festival! 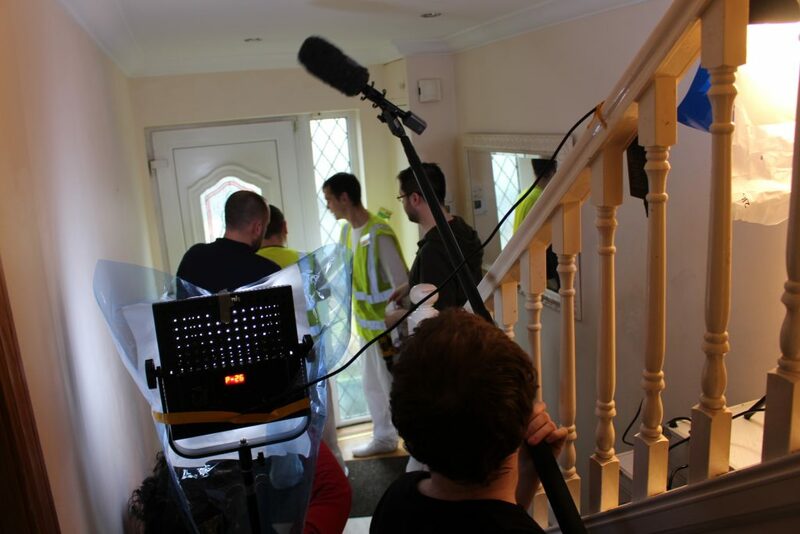 One man’s struggle through a bureaucratic nightmare as he fights for his right to natural light. 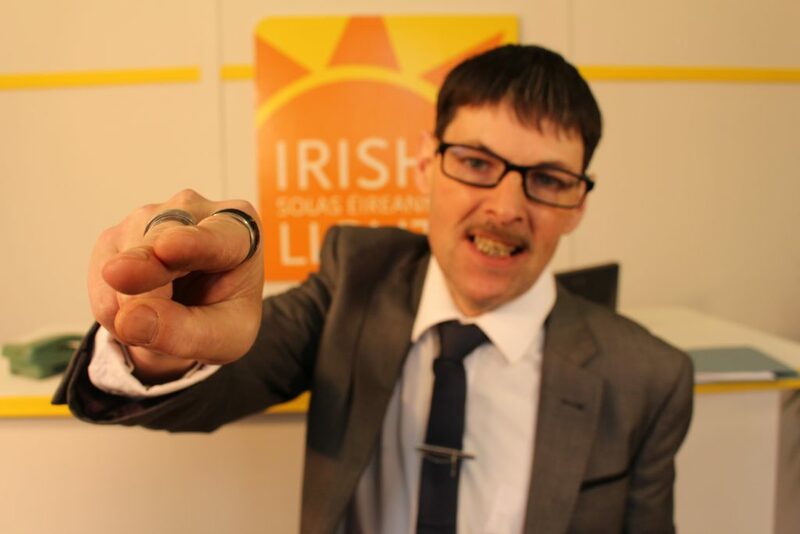 Tony is being charged by a new semi-state body, ‘Irish Light’, for access to the sun. When he refuses to pay, workmen board up his windows. But Tony won’t take this lying down. He marches to the headquarters and navigates his way through a madhouse of delusional propaganda, rampant capitalism and sheer insanity to get an exemption. “Everybody Get Stoned” showing as part of the Stop The Stigma Campaign on 27th February 2018 at 11.30am in Green Street Dublin 7. 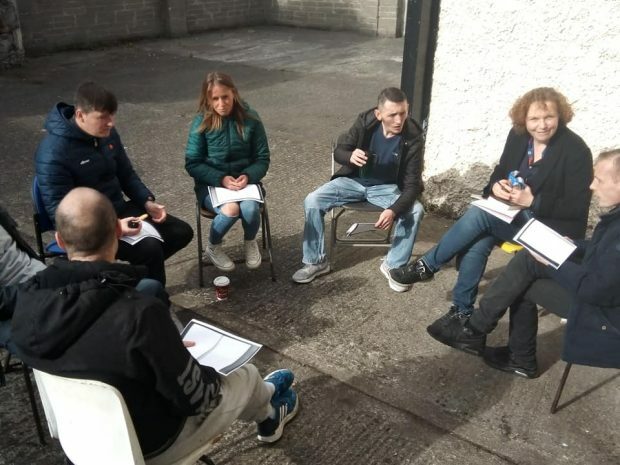 RADE participants will perform the play ‘Everybody Get Stoned’ written by Michael Egan, as part of the Stop The Stigma Campain on 27th February 2018 at 11.30am in Green Street Dublin 7. The event will include testimony on experiences of drug-related stigma from the SAOL Project and from John Devoy of UISCE; an extract from the play Love in the Wild by Lisa Walsh, directed by Peter Sheridan and a performance by RADE (Recovery through Arts and Drama Education); Charlie Lloyd, University of York, will give an overview of the international research into the impact of stigma on people who use drugs and the implications for policy. RADE started shooting a new film “Any Spare Change” this week, 29 January 2018. The new film is the result of ten weeks collaboration and improvisation with Rodney Lee and the RADE Participants. 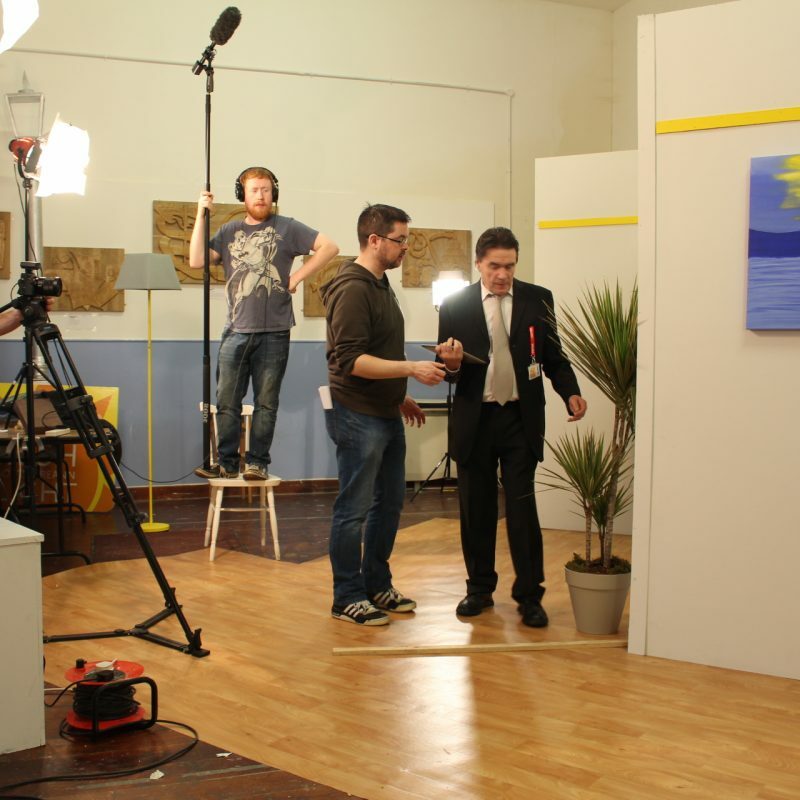 The workshops and script development was funded through the CREATE Artist In The Community Scheme. A huge thanks also goes to the Simon Community and St. Patrick’s Cathedral for their support with the film production. The first screening will take place on May 1 in St. Patrick’s Cathedral. Rade participants are currently enjoying rapping classes on a Wednesday. John Cummins, rapper is working with participants on the fine art of rapping. The end product will be a CD that will include the participants own creations. Rapping (or rhyming, spitting, emceeing, MCing is a musical form of vocal delivery that incorporates “rhyme, rhythmic speech, and street vernacular”, which is performed or chanted in a variety of ways, usually over a backbeat or musical accompaniment. Rade in collaboration with writer Rodney Lee was awarded a grant from CREATE. 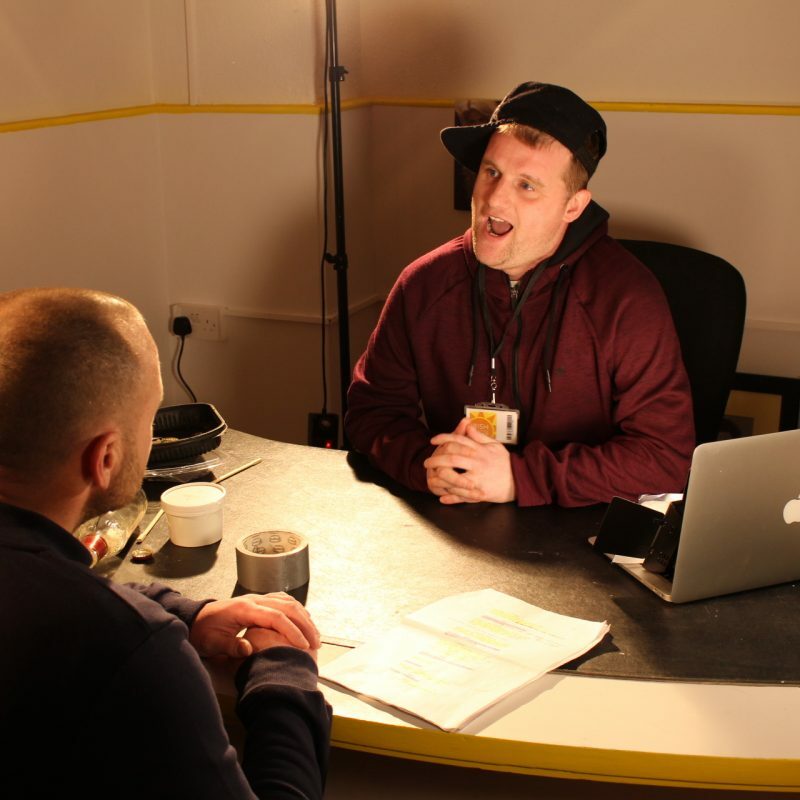 The Artist in the Community Grant gives Rodney the opportunity to write another script and work with RADE participants to produce a film next year. This follows on the huge success of “Irish Light vs Tony” that was produced in 2017. Acting workshops are to begin in November 2017 and shooting will be in January. Very exciting times for RADE. It is fabulously written. Clever, incisive, political, it is on the money. It reminded me of Monty Python with its wonderful attack on bureaucracy and capitalism. 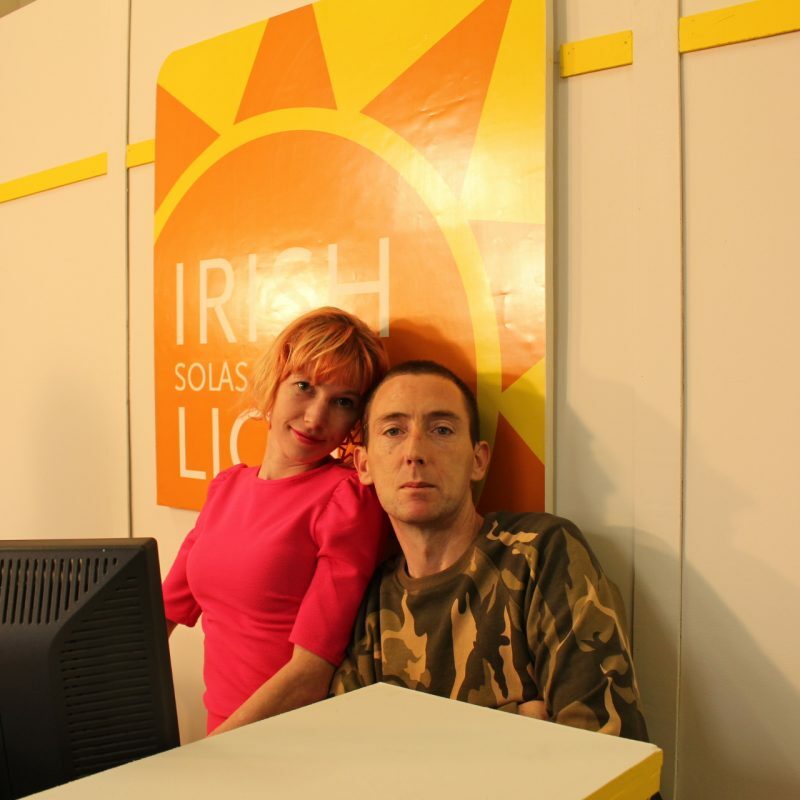 The concept of paying for the light is superb……. Brilliant………. And it works because it takes it seriously and never descends into silliness. The production is excellent and all aspects of film making are there, realised at the highest level. 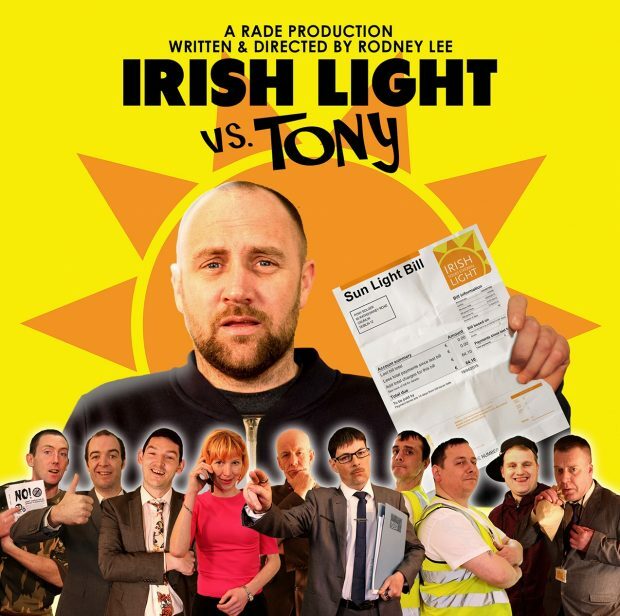 Irish Light vs. Tony; all the actors in it are from the programme. 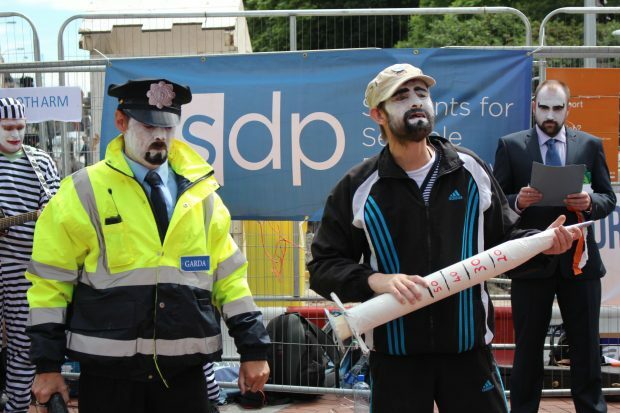 It’s a parody and comical satire on the government’s Irish Water fiasco, and on modern-day bureaucracy, that endless torture of form-filling and departments and managers, and overseers, and the wrong office, and the wrong building. KARL PARKINSON recently completed a series of creative writing workshops with participants here in RADE. There was great feedback from the tutor and all participants. We hope to include some of the stories written by participants in the comic book to be launched next year. 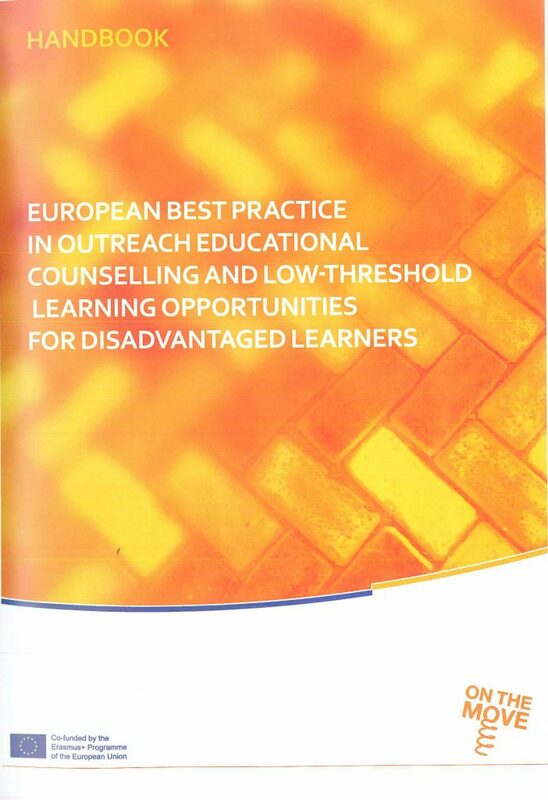 Karl recently had an article published about his experience in RADE. Please READ the article as we would like to share RADE’s stories. New Comic Book coming soon! RADE is currently working with Elida Maiques, a cartoon artist. The RADE participants are working on Mondays and Tuesdays (September/October) towards the production of a Comic Book. If things go as planned we hope to have the launch of the book in February 2018. Watch this space! 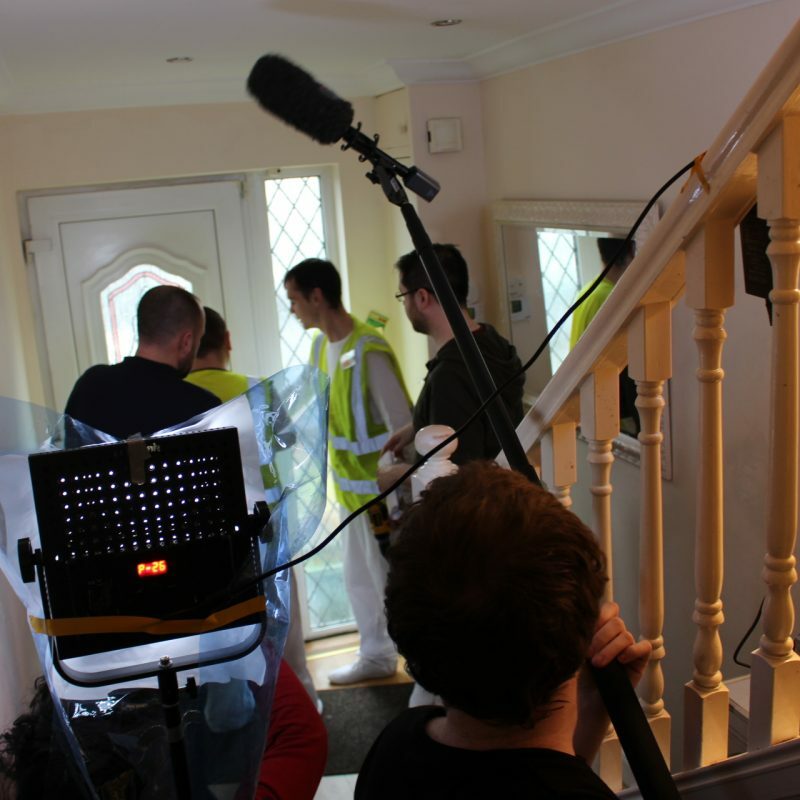 Our latest film, a HUGE success! 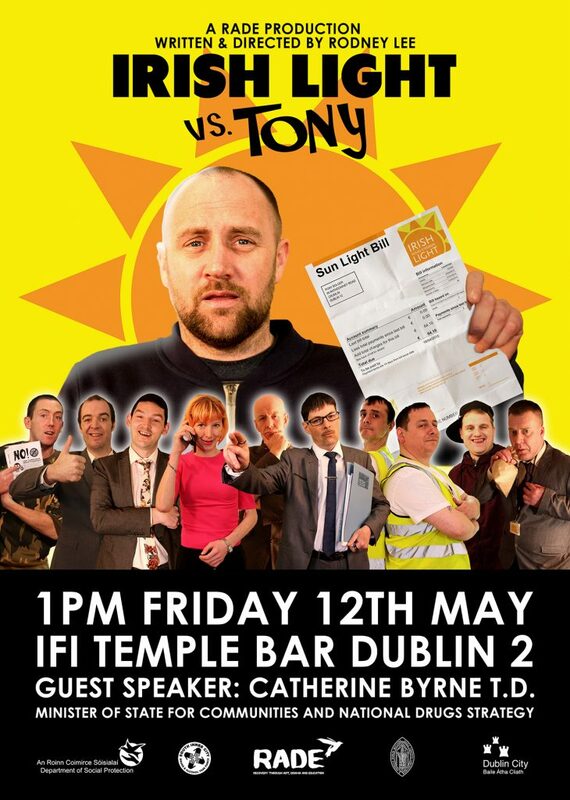 ‘Irish Light V’s Tony’ by Rodney Lee, The Irish Film Institute, Friday 12th May 2017. Thank you all for coming today and joining us for the launch of our film. We are especially pleased to welcome the Minister Catherine Byrne here today. We are bursting with pride about our latest production. I also want to welcome Cllr. 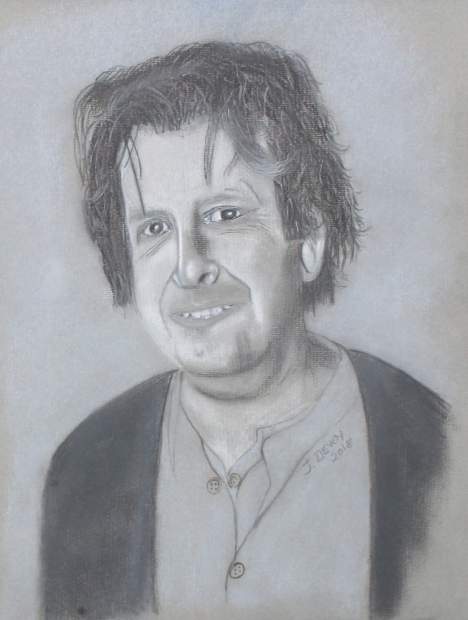 Dermot Lacey. RADE owes such an enormous debt of gratitude to the many artists that have provided such good will towards our project over the years. Many of whom are here today and we also wish you a warm welcome. 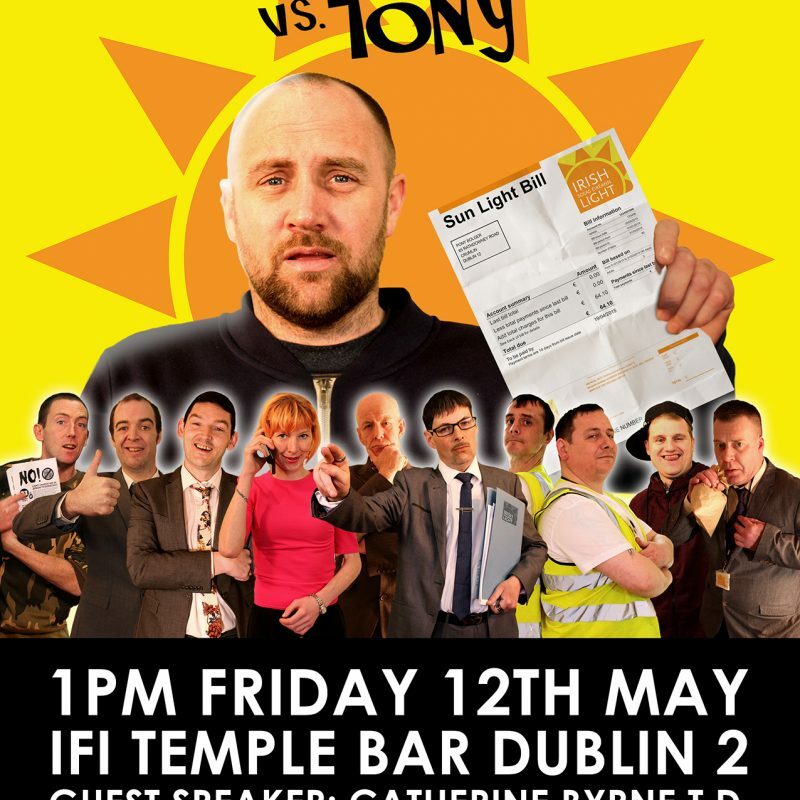 ‘Irish Light Vs. Tony’ is about one man’s struggle and any resemblance to actual semi-state bodies such as, ‘Irish Water’ is absolutely 100% purely coincidental! Regardless of what anyone’s feelings are about water charges, I think the most powerful message that comes with this film is that it now exists. It has given a voiceless people a platform and an opportunity to contribute to the social community. The first time I worked with drug users was almost 30 years ago, in the early 1990s, making theater with the clients of MQI. 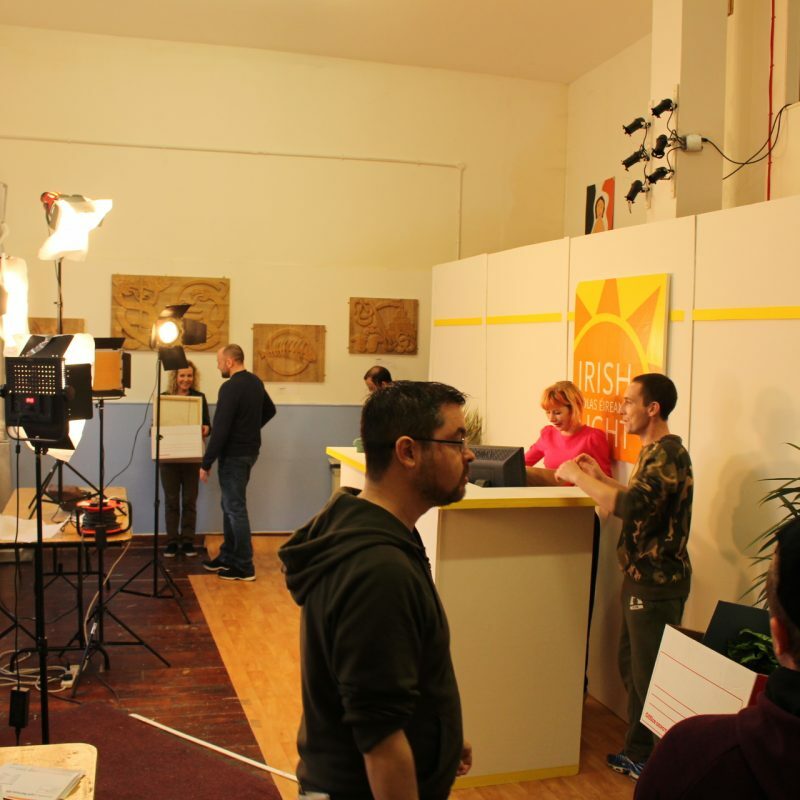 It was an amazing awakening: Engaging people with drama and performance worked as a temporary distraction and an attractive focus for people whose lives were compromised with issues of addiction. RADE has developed out of that time. We do theater plays, but we also do art exhibitions, publish books, Comics, Music CD’s, Films, Dance, Radio, Opera, musicals, and it still works: The project provides a window of opportunity to escape the snares and traps of every day drug using. The proof is in the pudding. And we are going to taste some of the pudding today. The period in the 90’s that we grew out of was a different time. FAS was the boss. And we were a CE scheme, I think we were the very first of, what was called ‘Special CE Schemes”. Later the first drugs Minister, Eoin Ryan, who is also here today, Eoin ring fenced 1000 places for drug recovery projects. In those days there was scope and room for invention. Times change and they say you have to move with the changes. Well we try. We’re with a new department now, the Department of Social Protection. And I think we’re like round plugs in square holes. We’re water and oil. We don’t fit. The original idea had been to get CE to adapt and fit the needs of recovery services. Now the emphasis is all about how to get drug services to meet the needs of CE and fit into a mainstream framework of ‘work activation programmes’. We are particularly grateful to our DSP Officers, Adedolapo Odukoya, Tony Hayden and Monica Alonso, helping us through our recent difficulties and our huge loss, due to the untimely death of our friend and colleague Eoghan O’Neill. I want to publicly thank them for their invaluable goodwill. However I understand that their hands are tied and that they are confined to working within the policies and structure of their department. It’s not their responsibility that drug services don’t fit the boxes. This current scenario is causing a crushing and unnecessary strain and difficulty for everyone. And if there is one ask we have Minister, it is to ask you to use whatever influence you can at the cabinet table, to affect some change in this regard that is impacting on all of the frontline services. Now, back to the film and what today is really about: The first time I heard the RADE group reading the screenplay for this film, the script crackled to life immediately and the participants made it their own. 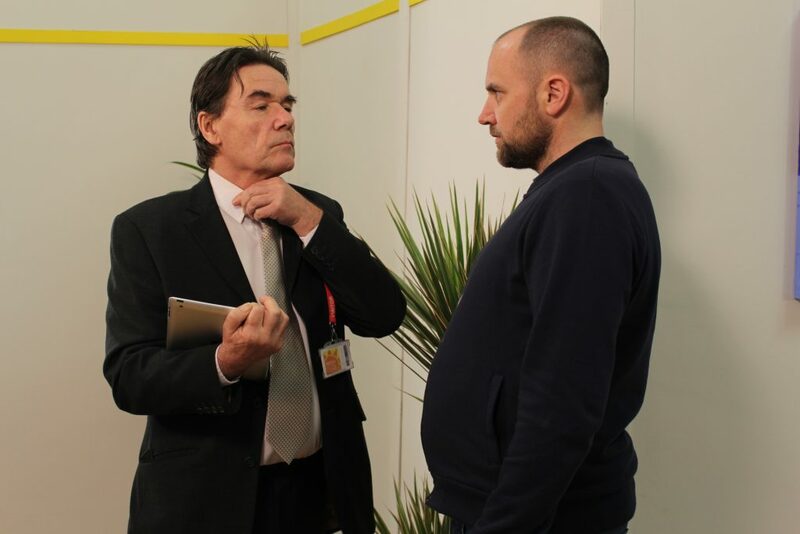 And as usual everything went wrong that could go wrong: seriously wrong, our strongest actor, Andrew Talbot died tragically a week before we were about to shoot. Two other of our participants, had learnt their lines, but they got seriously ill and were also out of the picture. But we kept going forward and with the cool heads of our writer/ director, crew and participants, we made it. The composer and member of Aosdana, Trever Knight came on board and put a classy music score together for us. Rodney Lee, our writer/director, practiced pure magic in the editing room and Sine Lynch attended to all the production detail. 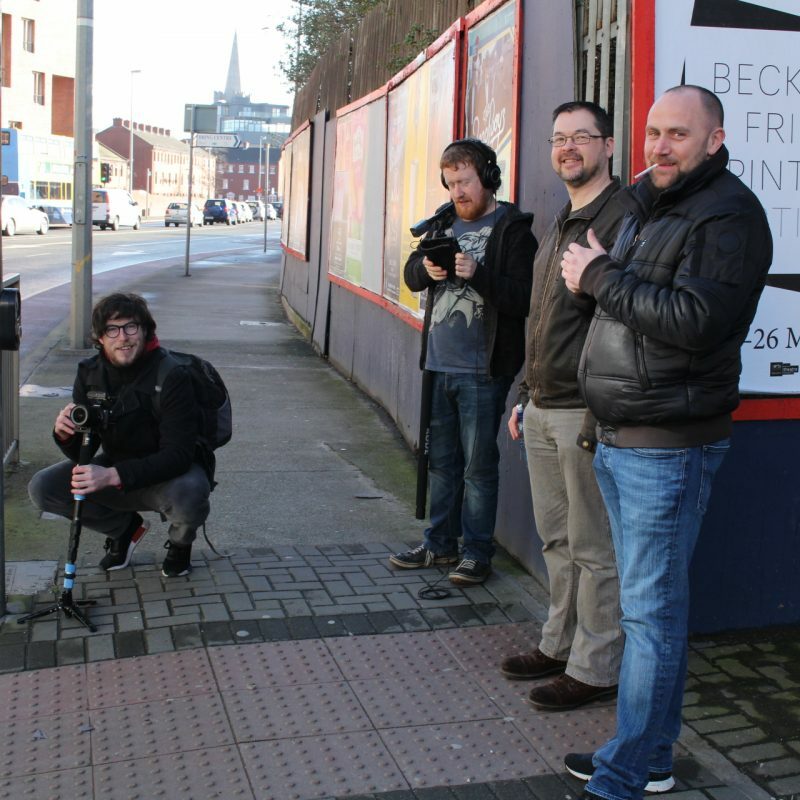 Sine gets my Oscar, for keeping the head and delivering this film, with all of the extra work that smothered our project, when we had so sadly and suddenly lost our key colleague Eoghan O’Neill. And Sine, eight months pregnant too. I want to pay tribute to all of the RADE staff: To our Rehab coordinator Averyl Swords, and the keyworkers working with Averyl: Lucy Cullen and Monica Rampal. Also thanks to our visiting Councillors, Tom O’Connor, Hannah Kelleher and Pat Kennedy. 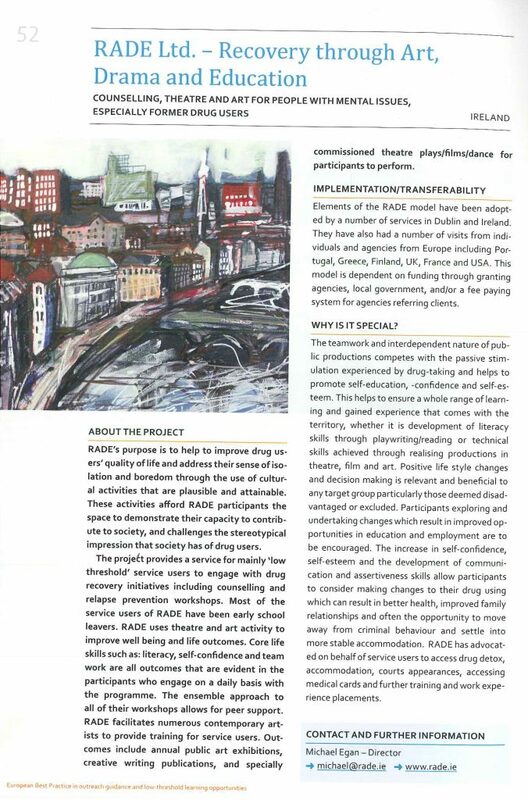 The work of our rehab team is at the core of what RADE is about: to help people who are struggling to make progress in their lives. We are very grateful to our voluntary Board of Directors, who have been so generous and giving of their time, care and attention to the project. I want to also single out Teresa Weafer for coming to our assistance and finding a pathway through our recent difficulties recruiting a replacement Supervisor. 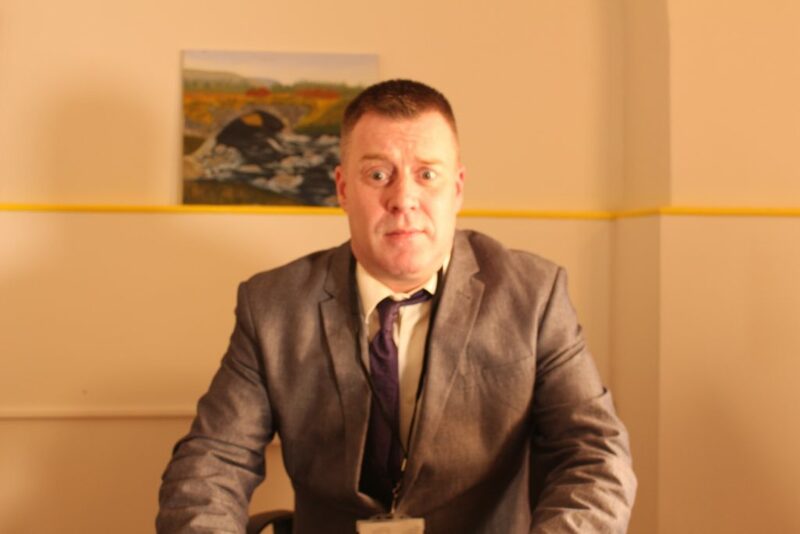 We owe a considerable debt of gratitude to the City Council, our landlords in the OLV building, and we particularly recognise and thank Brendan Kenny, Assistant Chief Executive, for his support. I want to welcome Chantelle Maritz, who is taking over for Sine, on maternity leave and our new support worker, John Gavin who joined us last week. Also I want to welcome our new programme Participants and let them know that next year we’re going to be doing it all again. Finally I want to mention again the 2 people that passed away in the last two months. We are still reeling from the shock and loss. 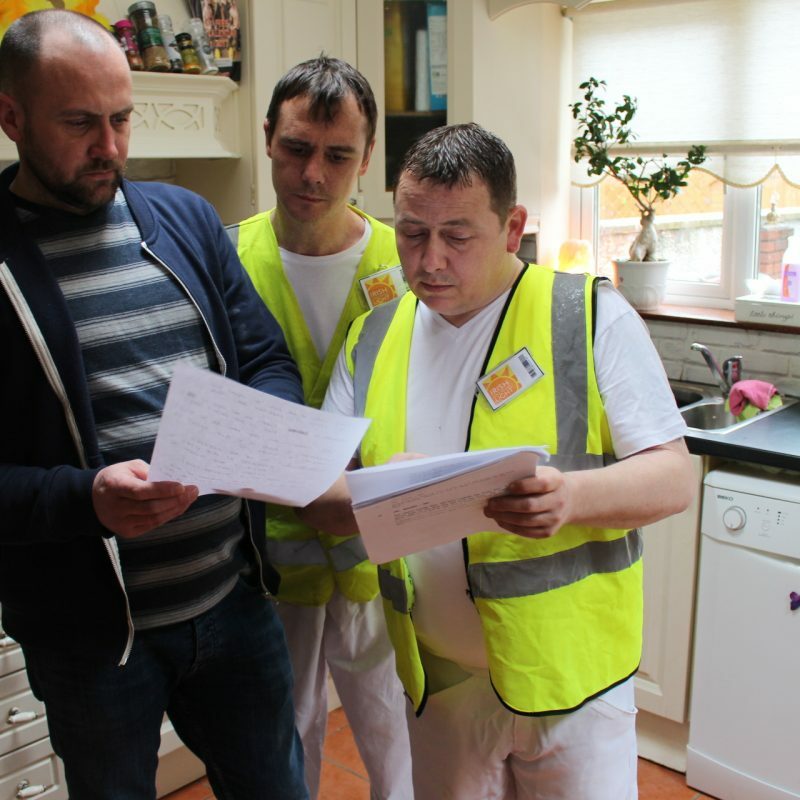 RADE participant Andrew Talbot, who had so much talent and promise and Eoghan O’Neill who designed the film set and guided Ray Doyle and Steven Cumerford through the building of the set. Eoghan had given so much over his 12 years with us to make RADE the colourful and exciting project that we are so proud of today. 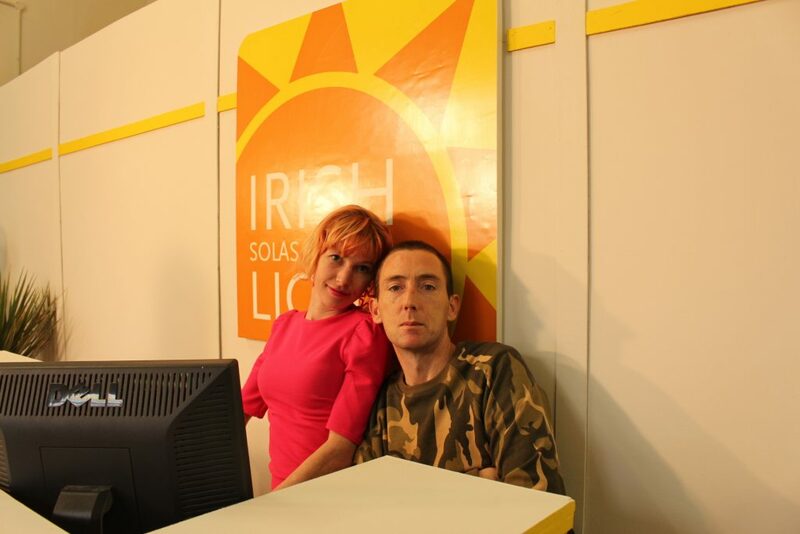 Our dear friend and long time staff member Eoghan O’Neill, has died (suddenly) on Thursday last 16th March. We wish to extend our deepest sympathy to Eoghan’s family for their great loss. We will always remember Eoghan for his humanity, kindness and who gave in abundance to everyone that knew him. Details of funeral arrangements 3:00PM Thursday 23rd March in Mount Jerome Cemetery. 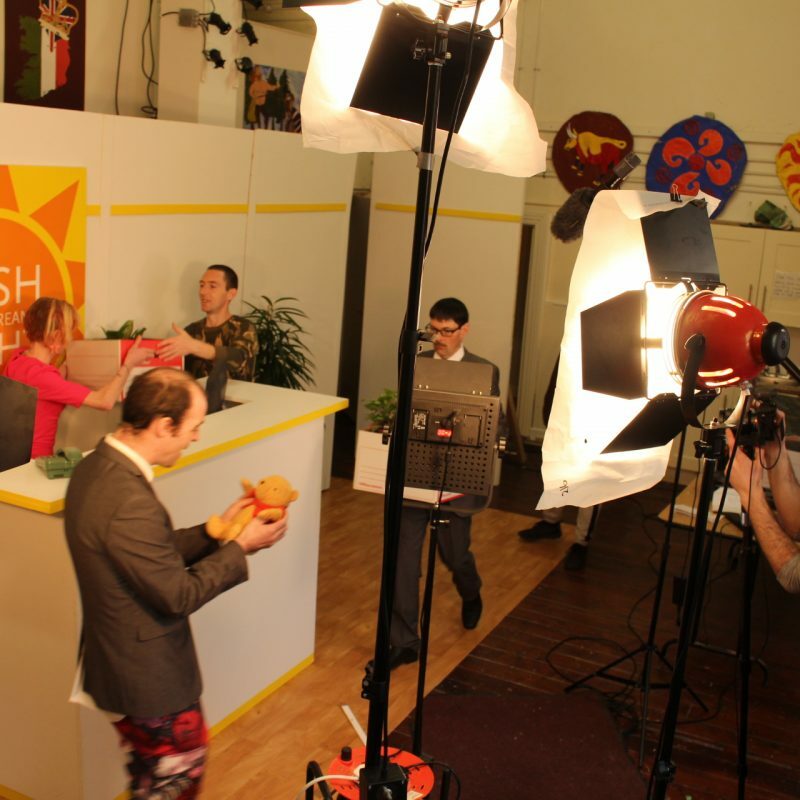 All participants took part in the production both infront and behind the camera. 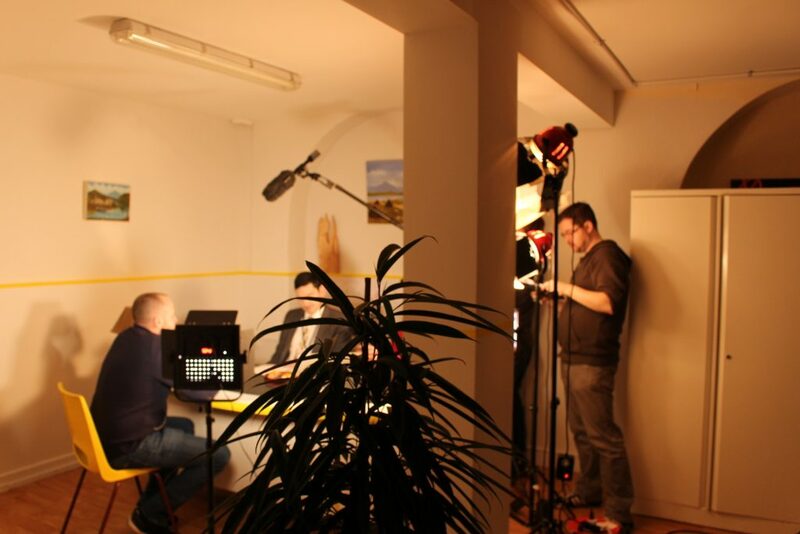 The film was shot over 5 days mainly in RADE’s own premises. 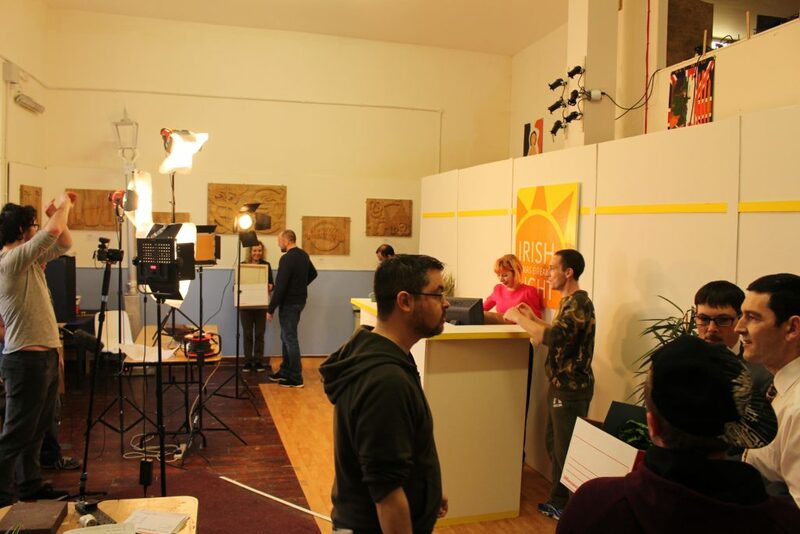 Eoghan, Ray and Stephen crafted the sets while Mick, Síne and Derek worked behind the scenes preparing participants for their performances in drama workshops. Special thank you to Rodney, Tomas Donaghy, Gary Boyd, Derek Dunleavy, Jody Jones, Ray Doyle, Stephen Comerford and all the cast for making this a successful production. 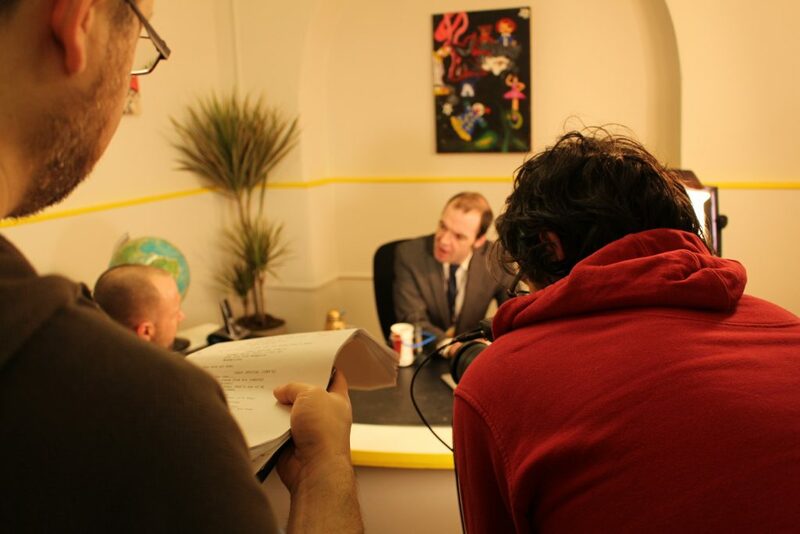 To begin writer and film editor Rodney Lee has developed a short film script with the working title No. 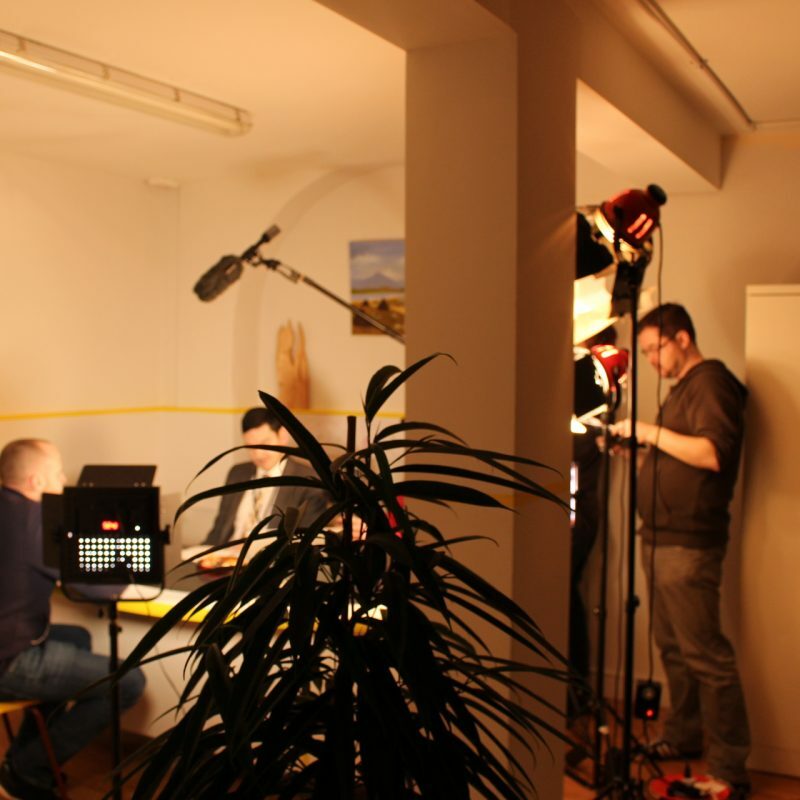 Readings and rehearsals will commence 17th January with the film shoot scheduled for Spring. 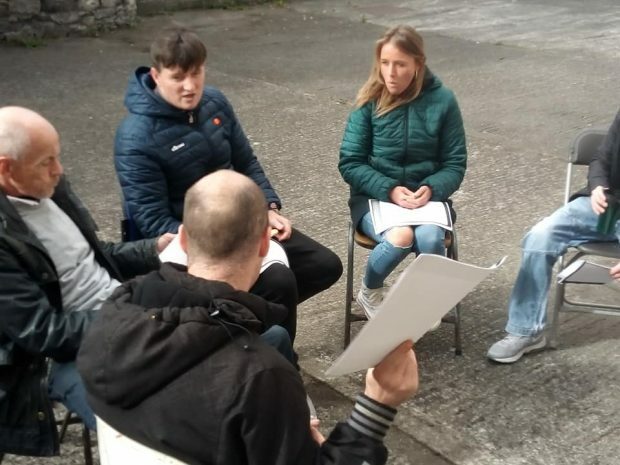 Mick Egan and Síne Lynch will continue running weekly workshops in drama and facilitate the direction and coordination of the film production. 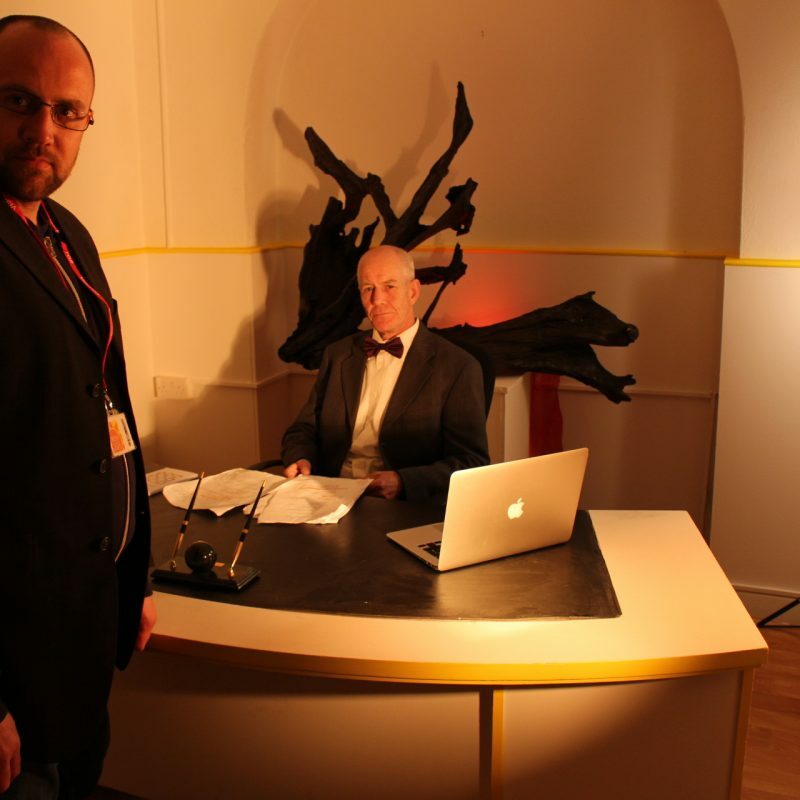 Derek Dunleavy will co-facilitate drama workshop. 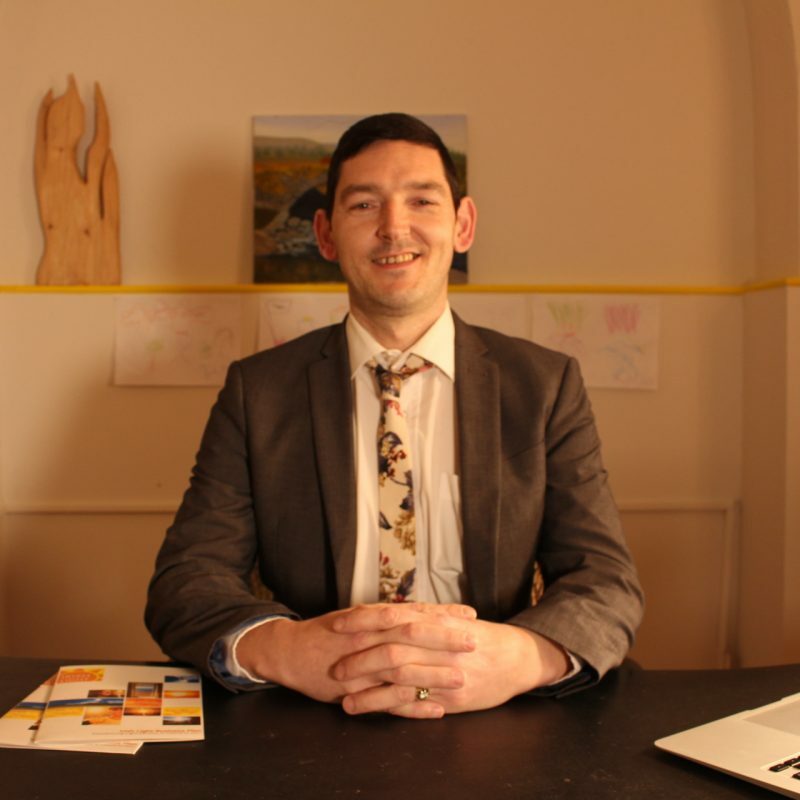 Eoghan O’Neill is back working with the groups artistically to develop a new collection of art work to be exhibited in the summer. Averyl Swords and her team will continue developing the rehab and training programme within RADE. Monika is back after a short break to facilitate weekly yoga and acupressure. Participants worked with comic creator Elida Maiques who facilitated workshops to produce the graphic novel Let Me Tell You. RADERS are determined to heal and make positive changes in their lives. Clink on the picture to see their work. 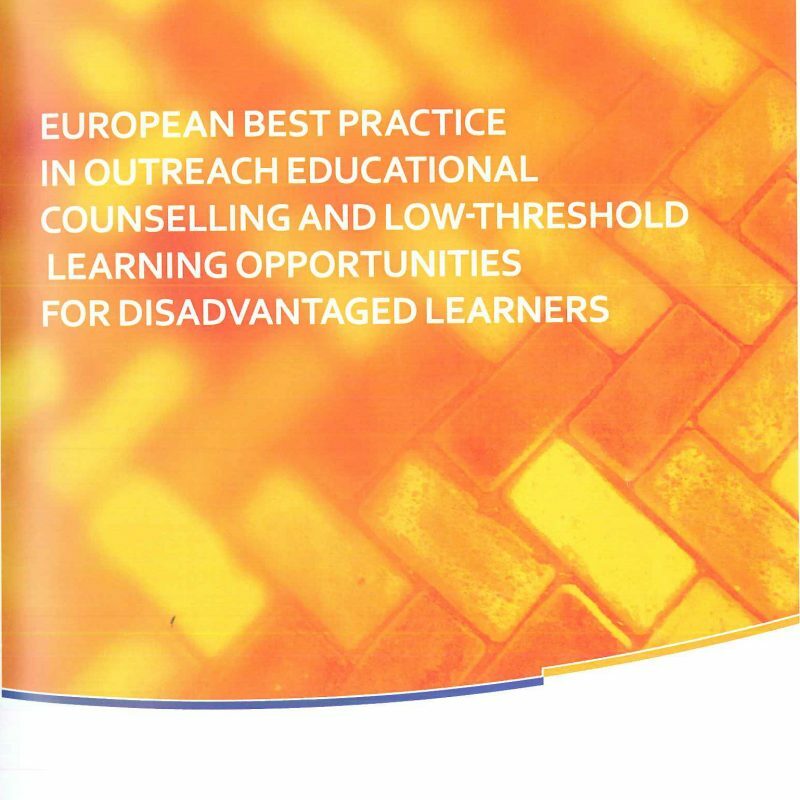 low-threshold learning opportunities for disadvantaged learners profiled RADE among other European projects in a recent study. 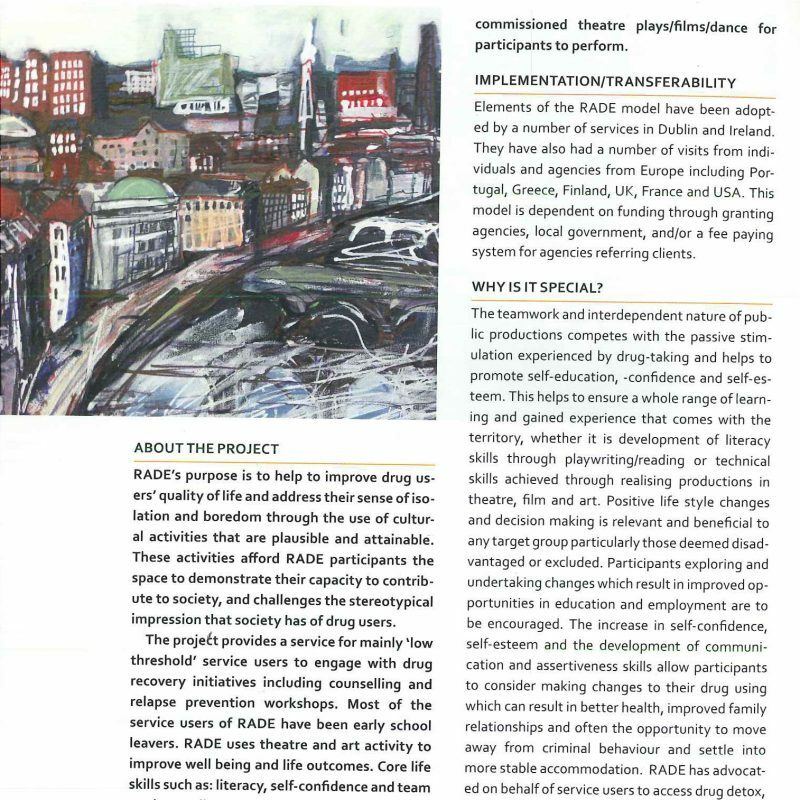 The annual report highlights the work undertaken by both the rehab and training team, creative departments and particpants in RADE. RADERS were busy celebrating our nation’s centenary throughout the year and presented their work in many formats, from a graphic novel to canvas paintings to sculptures to stage productions throughout the year.